Acting on behalf of developer Energiekontor, leading renewable energy and infrastructure consultancy, Natural Power has been appointed as Owner’s Engineer for the construction phase of Withernwick Wind Farm Extension, located in the East Riding of Yorkshire. Cheetham Hill Construction Ltd started balance of plant construction work on site this month, and the project is scheduled to be commissioned during early 2019. 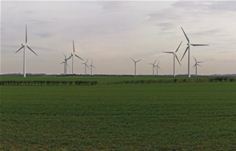 After signing a long-term corporate power purchase agreement (PPA) with a global company in the consumer goods industry, Energiekontor has achieved financial close for this wind farm project, which is believed to be the first UK wind farm that is financed without the requirement of government subsidies or support mechanisms. Natural Power will provide owner’s engineer and project management services during the construction, turbine installation and electrical commissioning phases of the project led by a construction project manager and supported by an onsite resident engineer, with broader services supplied from Natural Power’s diverse range of experts. Additional services include principal designer and CDM 2015 auditing services to support the developer and ensure adherence with health and safety regulations during the balance of plant and turbine supply contract works. Withernwick Wind Farm Extension is a four-turbine, 8.2 MW, extension to the existing nine-turbine Energiekontor wind farm built in 2013. Senvion will supply four MM92 turbines with project finance structured by German lender NORD/LB Norddeutsche Landesbank.